Snapchat, one of the fastest growing social networks on the planet Here Are the Fastest Growing Social Networks You Need to Join Here Are the Fastest Growing Social Networks You Need to Join While Facebook holds the lion's share of the social market, new services like Kik, Snapchat and WhatsApp threaten to break Facebook's stranglehold on the social Internet. Read More , is now more than just a software company. 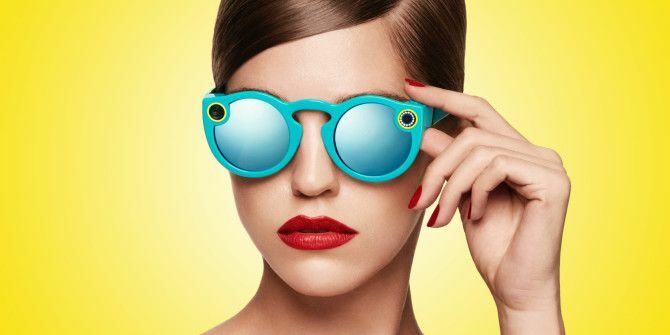 Over the past few days, it has rebranded to Snap Inc. and it launched a new hardware product Snapchat Unveils Spectacles That Shoot Video Snapchat Unveils Spectacles That Shoot Video Snapchat has changed its name to Snap, and unveiled its new video-enabled sunglasses called Spectacles. Read More called Spectacles. The app still remains “Snapchat” though. Spectacles is, as the name suggests, a pair of glasses. But it’s no ordinary spectacles. This one shoots videos using a proprietary camera made by the engineers at Snapchat. Whatever you shoot is directly transferred to the Snapchat app on your phone. This isn’t the first time we’ve seen high-tech glasses. From Google Glass to Carl Zeiss’s Smart Glasses demoed at CES Best of CES 2016: 6 Amazing Products That Are Coming Soon Best of CES 2016: 6 Amazing Products That Are Coming Soon CES 2016 showcased thousands of awesome products, prototypes, and demonstrations. Here are some amazing ones that you might've missed and can expect to be released some time soon! Read More , it’s the ultimate accessory in wearable technology. All of those have petered out over time. But a few things make Snapchat’s offering seem like it’ll stick around and be worth a watch. So what’s Spectacles all about? Well, it’s a pair of glasses that pairs with your smartphone wirelessly. While Snap hasn’t said what wireless technology it uses, it’s safe to assume the connection will be over Bluetooth. The Verge notes that Android users will need to use Wi-Fi connections, and iPhone users can use Wi-Fi to transfer videos at high resolution. The video camera is placed at the corner of the frame on the right eye. When you tap the corner of the frame over your left eye, Spectacles starts shooting a video. 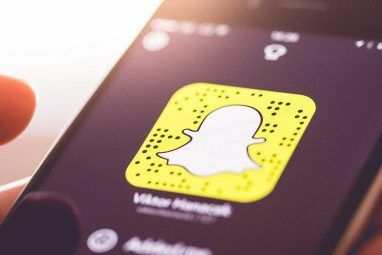 As you probably already know about Snapchat 12 Surprising Things All Snapchat Users Should Know 12 Surprising Things All Snapchat Users Should Know What are some things that all Snapchat users should know? Here are several pointers for old heads and newbies alike. Read More , you get to shoot a video of only 10 seconds. But you can increase the video length by tapping the button again to add two 10-second increments. But you can’t shoot more than 30 seconds of video. That video is transferred to your Snapchat app immediately, you don’t need to press any buttons. The video will wait on your phone till you start the app. You can take multiple videos without needing to check your phone each time. While Snap hasn’t stated the battery life, it says Spectacles will last the average user for a day’s worth of usage on a full charge. Also, the carry case can charge the Spectacles completely from zero to full, four times. One of the things people found a bit off-putting about Google Glass was how it dehumanized human interactions. If you were talking to someone wearing Google Glass, you didn’t know if they were paying attention to you, or maybe even recording you. The funky-looking Spectacles makes an effort to avoid this. The top-left corner has a circular ring of tiny LEDs, which lights up when the wearer is shooting a video. By the way, a similar ring on the inside lets the wearer also know that they are recording. 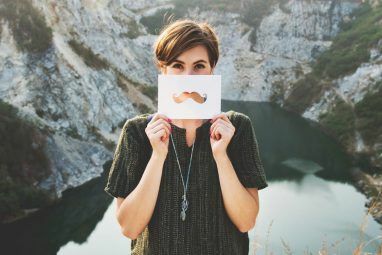 It’s an important factor for such high-tech wearables that will change our lives 5 Ways That High Tech Personal Wearables Will Change Your Life 5 Ways That High Tech Personal Wearables Will Change Your Life Will the internet dissapear? High-tech personal wearables may drive the internet into the background of our lives. Here's how. Read More . As you can see, it’s a whole new perspective to videos. Snap’s idea is to shoot videos “the way the human eye sees them”. On phones, that translates to a video that works in both vertical and horizontal view. Don’t worry, circular videos work on regular screens too. Snaps says they will play as full-screen videos on any large screen. But it’s not clear whether that means a large circle on your screen with the video playing in it, or full widescreen capture. Snap is pricing the Spectacles at $130, which is brilliant. As much as we loved the Google Glass Google Glass Review and Giveaway Google Glass Review and Giveaway We were lucky enough to get a pair of Google Glass to review, and we're giving it away! Read More , its prohibitive price tag of $1,500 was too much to stomach. At $130, you’re getting a decent pair of sunglasses, but with the added fun of shooting videos. Plus, $130 isn’t the type of price you balk at to try out something new. Snap has officially said that the Spectacles will be coming “soon” and in limited quantities. However, CEO Evan Spiegel told The Wall Street Journal that it’ll be out “this fall”. What Spectacles does best is keeping things simple. It’s a pair of funky glasses, with a camera that shoots videos. That’s it. There’s nothing more to it. It’s the kind of simplicity that makes Snapchat appealing. You don’t face a barrage of comments on Snapchat. You don’t dwell on the past with Snapchat. You capture your life, you share it, and you move on. It’s simple. And when you want to take a look at your life again, it’s all there. Spectacles is the simplest form of lifelogging What Is Lifelogging And Why Should You Do It? What Is Lifelogging And Why Should You Do It? Between Facebook, Twitter, Google+, Instagram and more, we already document and share quite a lot about our daily lives, without really thinking about it. They are lifelogs of sorts, but without any sort of structure... Read More . They’re “glasses with GoPros,” as The Verge put it. And that’s awesome. What Do You Think About Spectacles? The internet is quite divided over Spectacles so far. 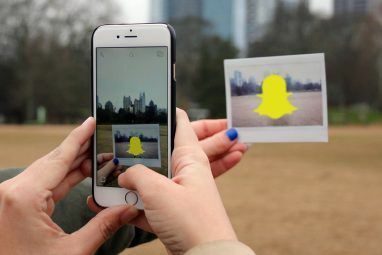 Snapchat users love the idea, while there are many who think it’s yet another example of intrusive technology. What are your thoughts about Snap’s Spectacles? Do you think you’ll buy them for $130? Explore more about: Snapchat, Wearable Technology. What Is Snapchat and Is It Right for You? Ready for the Fashion of the Future? Try On These 10 Wearables Today!